If you think candlewicking has anything to do with candles, you’re justifiably a bit confused! Let me explain. During the Colonial days, settlers didn’t have the money or the means to get the fine fabrics of the time. So, being resourceful pioneers, they created their own fine fabric using a form of embroidery, the Colonial Knot and a backstitch. 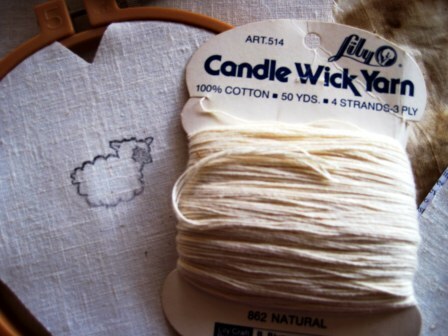 Instead of normal thread, they used a soft spun cotton thread, which at the time was used for the wicks of candles. Thus, Candlewicking was born! 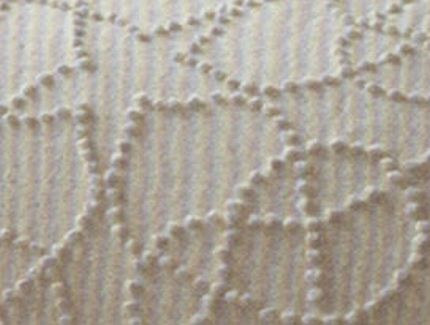 Candlewicking is a form of whitework embroidery that traditionally uses an unbleached cotton thread on a piece of unbleached muslin. It gets its name from the nature of the soft spun cotton thread (which was braided then used to form the wick for candles). 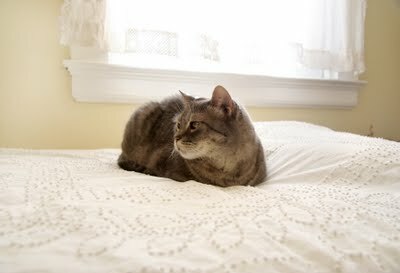 Motifs are created using a variety of traditional embroidery stitches as well as a tufted stitch. 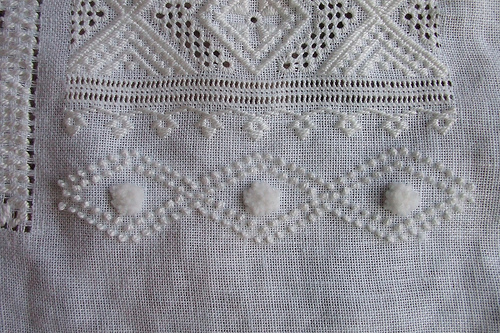 Colonial Knots and French Knots are used primarily tone-on-tone color scheme to embroider a design usually taken from nature – flowers, insects, pine trees – and other traditional motifs resembling Pennsylvania Dutch or Colonial American designs. A French Knot is formed by wrapping the floss two or more times around the needle. A Colonial Knot is similar; it is formed by using several strands of floss. The floss is wrapped around the needle only once. The terms French Knot and Colonial Knot are often used interchangeably even though they are slightly different. You might recognize this type of stitching from your grandmother’s house on a pillow or bedspread. That’s all candlewicking! 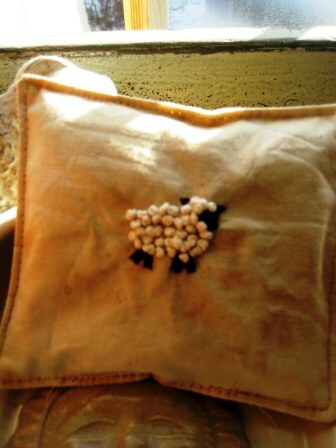 So, you know I’m NuTz (o.O) about: 1) my sheepies… and 2) my needle felted ‘bumpy’ sheep! Well… candle.wick.sheep. are bumpy too! 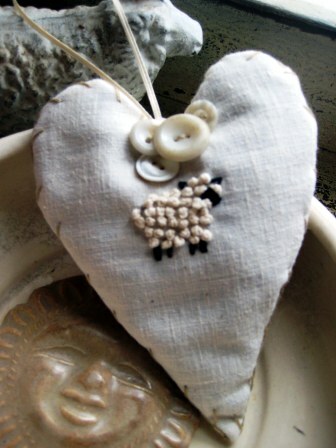 I’ve been stitch’n up lots of bumpy sheep!!! 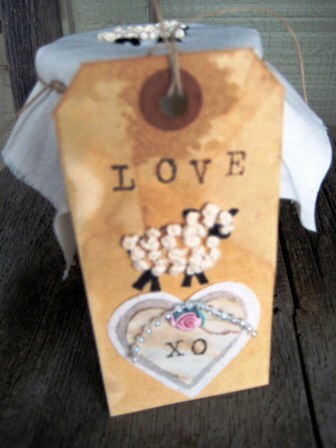 One-of-a-kind sheepy gift tag/label… I know. I got carried away! But, you get the idea! 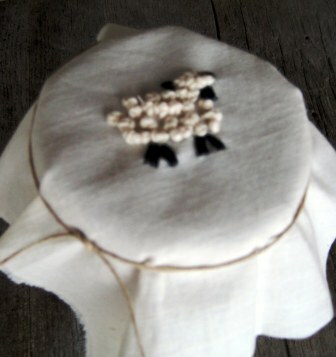 You’ll need cotton candlewicking yarn (or embroidery floss), cotton muslin (or tea towel, child’s bib, whatever fabric to stitch your needle work), an embroidery needle (remember, the eye of the needle has to be large enough for several strands of ‘yarn’). An embroidery hoop may help, but not necessary. Begin by centering your image/pattern on your fabric. 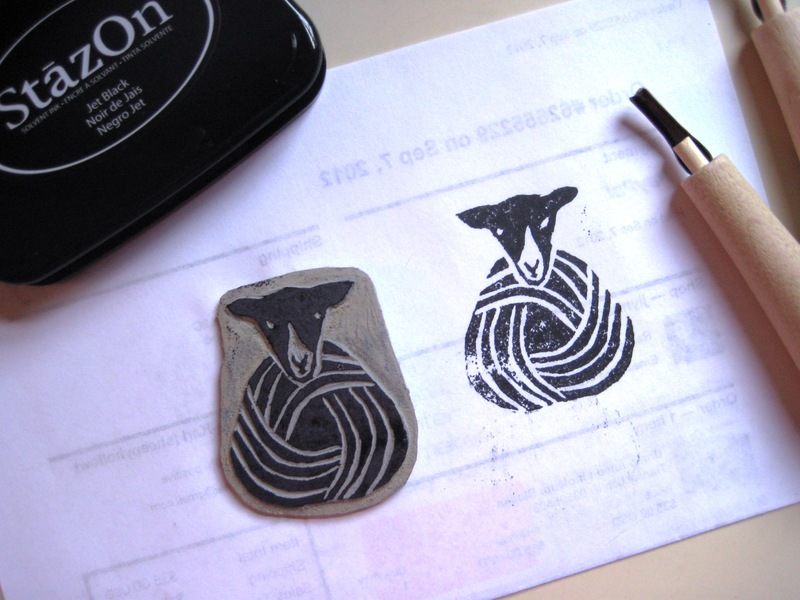 HINT: Cute little rubber stamps work too! 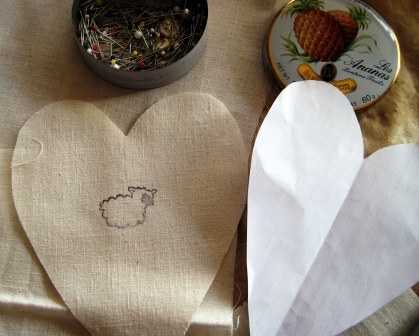 Begin your first stitch from the back side and continue to make ‘knots’ to outline or completely fill-in your image/pattern. 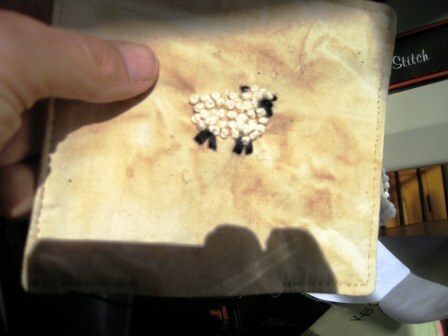 I added my sheep’s legs, face, etc with black floss, satin stitch. But, you could just draw them in with a black fabric pen. Use your imagination! 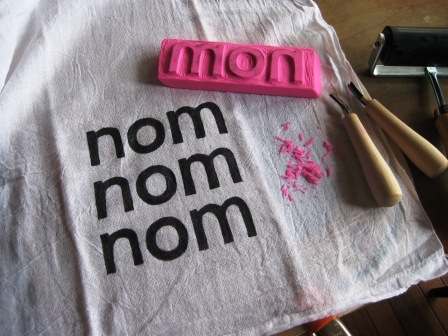 I think this would be a nice ‘craft’ project for kids too! Who knew stitch’n ‘knots’ could be so much fun!